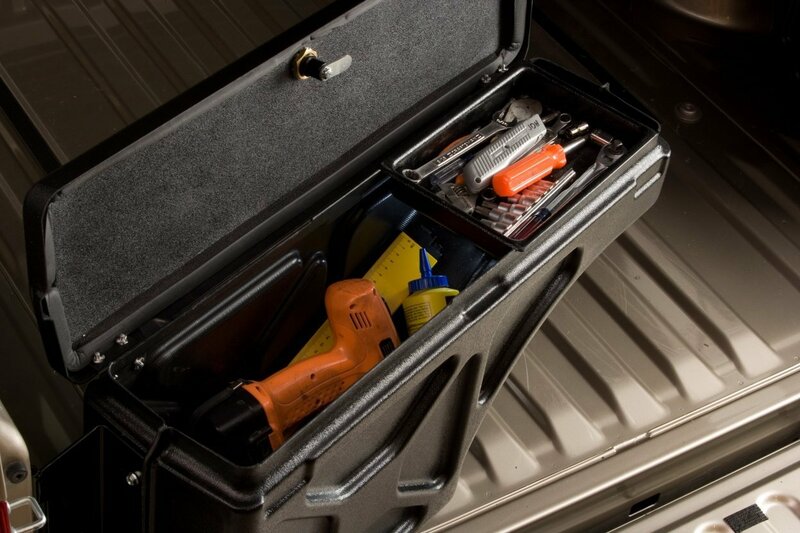 The Undercover SwingCase is a perfect solution to turn wasted space in your truck bed into valuable storage area. 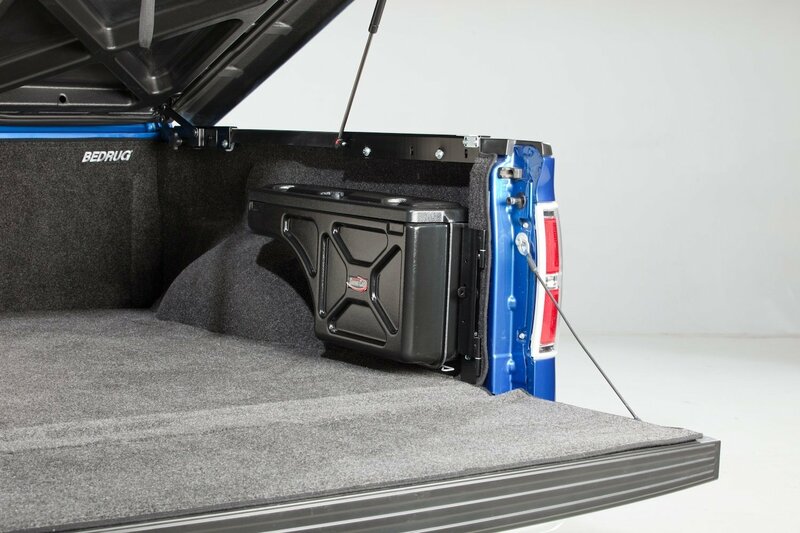 Compatible with all tonneau covers, the SwingCase by Undercover is rated to hold 75 pounds in its 1.5 cubic feet of storage space. 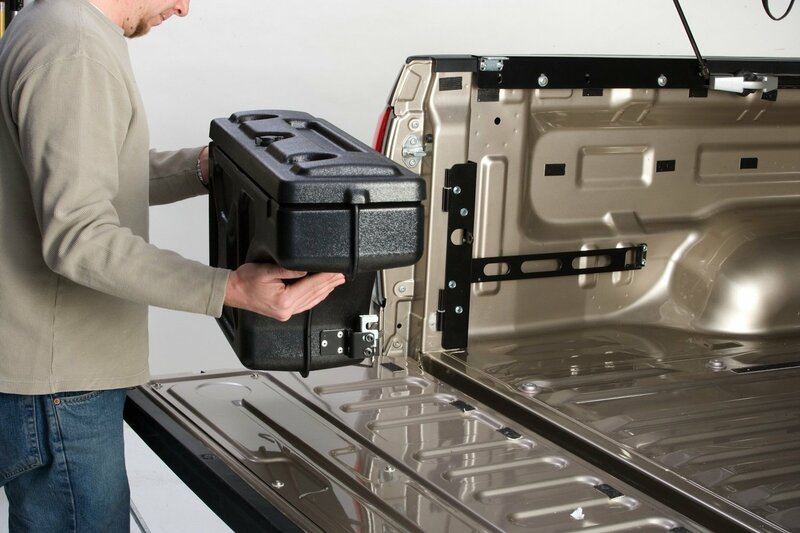 The SwingCase swings out over the tailgate when you want access to its contents, meaning no more reaching and stretching to access your storage. We know what you're thinking, but don't worry, they only swing when you want them to. When you're done, it latches into place securely and unlatches when you're ready to access it again. The SwingCase also locks for added security. Made from ABS, it won't rust or dent, and will look great for years. SwingCase installation takes only minutes. The SwingCase mounting bracket installs with 6 included self-tapping screws. The SwingCase then attaches to the mounting bracket. It can be removed from the bracket quickly and easily should you ever want to take it out. 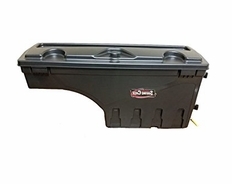 The part number for this SwingCase is UnderCover SC100P and it fits 2007-2018 Chevy Silverado and GMC Sierra Trucks. This is the Passenger Side SwingCase ONLY.